L.A. Witch plays The Miniplex at 9 p.m. on Thursday, Oct. 5. Folky fiddle tunes are the fare this evening courtesy of local band Fingal. The band is stopping by the Mad River Brewery Tap Room at 6 p.m. to play as you sip on your tasty beer and slam those tots. It's a free show, but feel free to leave a tip if you enjoyed the music. 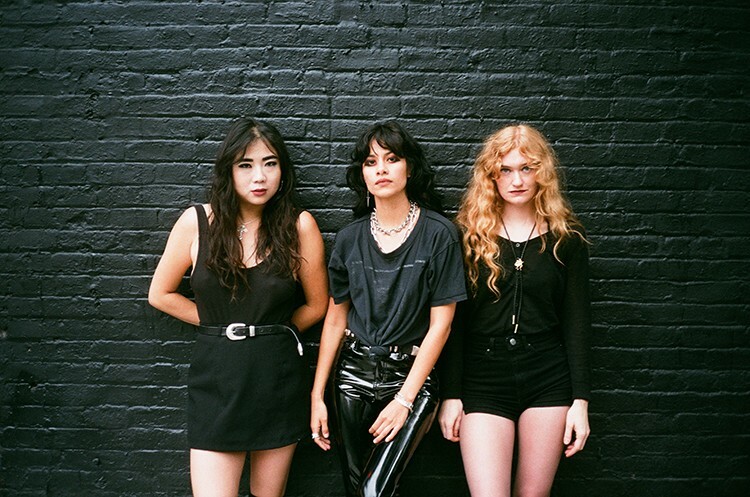 Up from the City of Angels comes aptly named L.A. Witch, fresh off of a European tour. They generally fall into the rock and roll vein with heavy hints of the dark heart of Venice in the halcyon summer days of the mid to late 1960s. With touches of garage rock and psychedelic vocal harmonies, there is a bleakness that seems to be the underlying subtext to the lackadaisical comfort songs like "Heart of Darkness" and "Get Lost" provide. As with many bands going for a trippy vibe, the reverb can be a bit heavy handed and tiring at points, but there's a good sound that this trio has honed in on. They're joined at The Miniplex tonight at 9 p.m. by Venus Milk and Indiocholo and $10 will get you in the room.